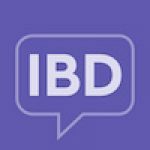 19 Facts for World IBD Day! Today is World IBD Day! Spread awareness of inflammatory bowel disease with these 19 facts for May 19th! Inflammatory bowel diseases are believed to be in the autoimmune family – simply stated, this means the immune system is attacking itself. Other conditions in this family include rheumatoid arthritis, lupus, and multiple sclerosis. Behçet’s disease, another in the IBD family, is a rare autoimmune disease that causes inflammation of the blood vessels. There is not yet a cure for IBD – which is why increasing awareness is crucial! Feel free to share these facts and even your personal experiences with inflammatory bowel disease!